Makers of award winning time saving plug-ins for Adobe Illustrator. Ready to launch Astute's V3 of its Vectorscribe Plug-in. 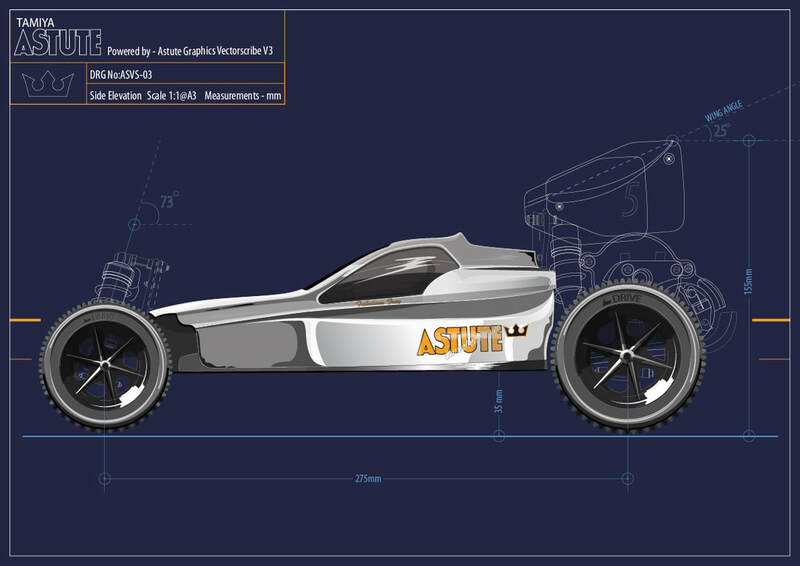 This commission was to illustrate the Tamiya Astute RC car and demonstrate key features of Vectorscribe V3 such as Extend Path, Dynamic Measurements and point removal. Aiming for a mix of a strict engineering drawing and a fun vector art look. I sought to show Vectorscribe's abilities in technical drawing and its time saving capabilities in smoothing out vector paths in the more artistic bodywork.